So, this blog is all about, as the title would suggest, finding, and appreciating all things exquisitely savory in this world. This is not by any means limited to food and drink – there is also music, film, language, art – and of course, television. What greater joy than discovering a truly well-written series to sink one’s teeth into. Hours – years of entertainment, even. Speaking of language – I was musing over the structure of the word ‘yummy.’ LETTER-U-DOUBLE CONSONANT-Y. So many yummy things fit this pattern – Curry! Sunny! Puppy! Funny! Of course, there’s also fussy, muggy and bully… but never mind that. The word I’m pondering at the moment, you guessed it (probably less so because you have psychic powers, and more because you read the title of this post) – is Buffy. Well, if you haven’t seen it, you’re only hurting yourself, I say. Heh, but I jest. I’m really not going to tell anyone that they have to watch anything. Not even… what’s a good broccoli* film? Shoah, say. I’m not going to tell you you have to watch Shoah. If you think Buffy (or Shoah) is not for you, it’s not for you. My friend Ann – as big a sci-fi/fantasy afficianado as anyone I know, was fairly ‘meh’ about Buffy – but she loved the spinoff, Angel, so we still talk and stuff. So then, if you haven’t yet seen the TV show Buffy the Vampire Slayer, I suggest you go out and rent it (or stream it, or whatever you kids are doing these days), and come back to this post after you’ve finished season 7 – because SPOILER ALERT! applies to everything after this paragraph. Season 1 is a half-season, and unquestionably the weakest of the 7 – but there is still some great fun to be had. I’m torn between “Angel,” and “Puppet Show” for best episode. “Nightmares” is also a contender, but logic of the premise starts to fray at the edges if you think about it too hard. “Angel” is pivotal, but I’m going to go with “Puppet Show.” What? Okay, hear me out. Joss Whedon pulls off something extraordinary here, and it sets the stage for many of his future endeavors. Mr. Whedon thinks big. He comes up with plot twists and set pieces that should never work, ideas that other auteurs would dismiss out of hand, and he pulls them off. His ability to take something absurd and hilarious and ground it with emotional truth, and some genuinely scary moments, is unparalleled. So, in “Puppet Show,” you not only have a sentient ventriloquist dummy – Buffy’s right – it’s super creepy (anyone who’s seen Magic can attest to that) – but he turns out to be a good guy. Plus, there’s that moment when Giles almost gets his brain sliced open, which makes me squeak every time. Pair With: A glass of water, gargled. Okay, one season in, and this just got really hard. This is where the show officially stepped up, and became what it was meant to be – horror as analogy for teenage life – with great characters, and more than a little dash of humor. It starts out with a bang -with quite possibly the best Buffy premiere episode of any season (“When She Was Bad”), and just gets better from there. 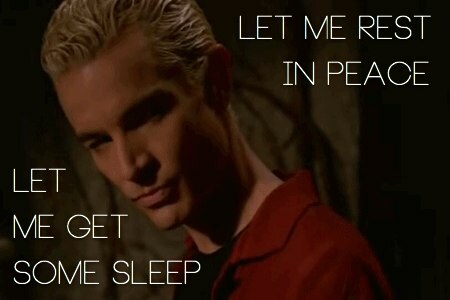 The introduction of Spike and Drusilla – vast improvements over the previous season’s villain, Willow stepping out of her Xander-obsessed shell into Oz’s waiting arms, Cordelia becoming a little more human and falling for Xander, and, of course, the relationship between Angel and Buffy, getting steamier and steamier. Really, did any of us see where that was going? “Suprise/Innocence” (I’m cheating – but I consider them a 2-part episode) – the best of the season, left me almost as devastated as Buffy when Angel lost his soul. And oh, what a villain he became. 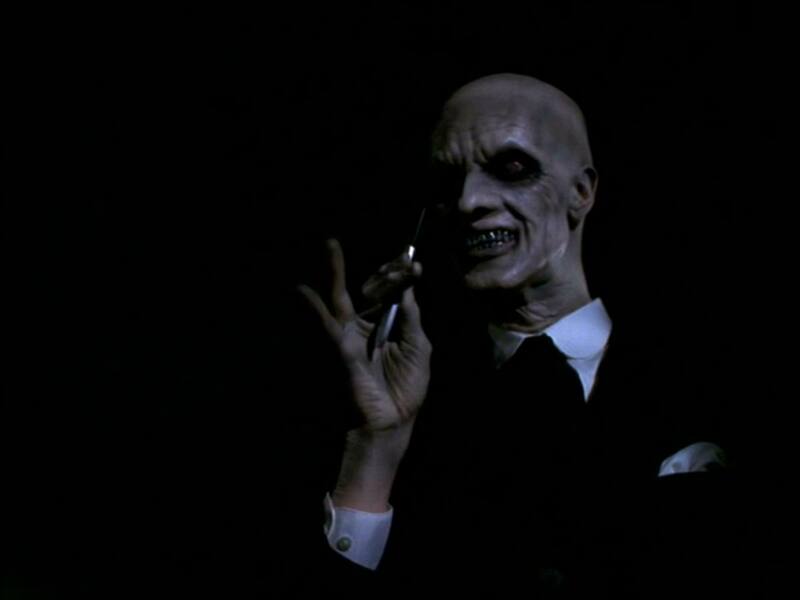 He easily terrorized Buffy more than any other enemy on the show, at any point. Heartbreaking. Epic. Pair With: Birthday cake (but don’t blow out the candles). Willow: It’s horrible! That’s me as a vampire? I’m so evil and… skanky. And I think I’m kinda gay. Buffy: Willow, just remember, a vampire’s personality has nothing to do with the person it was. Boy did they follow up on that one. Pair With: A banana and/or a glass of Cline Ancient Vines Mourvedre (depending on which Willow you’re toasting). There are almost no clunkers in this season – so again, it seemed like a difficult choice, but in the end it was a no-brainer. Here’s Whedon and company thinking outside of the box once more – an episode where no one can speak? Gutsy. This works so well for two reasons. Wait. Three. A) The terrific music. B) The episode is, on a deeper level, about the way we communicate, or the way we don’t. Friends talking over one another, potential lovers not knowing what to say, etc. and C) The villains are really, really scary. The fantastic mime and character actor Doug Jones (Pan’s Labyrinth, Hellboy), plays the leader of the ‘Gentlemen’ – creatures from the most nightmarish fairy tale imaginable, who cut out the hearts of their victims with a tiny little scalpel and grinning aplomb. Contenders for the creepiest Buffy baddies ever. Pair With: A scotch, in solidarity with terrified Olivia. For some folks, Season 5 is where Buffy starts to get great. For me (and for a majority of fans, I think), it marks the end of an era. Sure, it still was better than most TV… But seasons 2, 3 and 4 were so strong – and I look at 5, and am not at all conflicted about which episode is the best. It’s got to be “The Body.” Ugh. I know, right? Easily the saddest episode of any season. Also the only episode that is straight drama, with nothing supernatural in it until the very end. Buffy and her friends are dealing with Joyce’s unexpected death – and the fact that she’s killed by an aneurism, and not a vampire or demon, make it somehow worse. This episode is a punch to the gut – and also a beautifully-shot, very honest portrayal of what it’s like to lose someone. Oh, those heart-wrenching silences. Pair With: A soothing cup of tea and a lot of Kleenex. I know, I know… predictable. But it is really one of my all time favorite episodes, period. In a season with so much darkness, the musical, and the ensuing episode, “Tabula Rasa,” give us a little respite from all the angst. Buffy wasn’t the first TV show to do a musical episode, but I still think it stands as the best of its kind. The songs are clever, a prelude to Whedon’s crazy-popular “Dr. Horrible’s Sing-Along Blog,” but the surprise here is how pivotal the plot is… and all the major emotional revelations that occur within the lines of the songs. We get a hint that Xander and Anya just might not be meant for one another, in the number “I’ll Never Tell.” Tara discovers that Willow is messing with her memory, and Willow’s inability to see just how wrong that is warns us of much darker times to come. And, of course, Buffy reveals the ultimate truth, the one she never would have disclosed had it not been for a powerful spell – that in bringing her back to life, her friends had not saved her from untold torment, but instead had rent her from heaven. Oh. And that kiss. That kiss was a long time coming. Pair With: (So many choices!) A cruller, couscous, waffles, stinky cheeses, hossenfeffer, and lots and lots of mustard. Despite the mostly annoying Potentials mucking up the works, there are some strong episodes this season. “Lies My Parents Told to Me” is terrific, but I didn’t choose it, because Giles’s betrayal of Buffy (along with Willow’s and Xander’s later in the season) really grates my cheese. (I’ll no doubt get into that in some future blog.) I also really love “Help,” and the actress playing Cassie is pretty phenomenal. (Although can we call for moratorium on precognitive characters being named ‘Cassandra?’) I can’t imagine many actors pulling off that combination of sadness, resignation, wry humor, and forgiveness. It’s difficult to choose between “Storyteller,” Andrew’s video log episode, and “Selfless.” But, call it a coin flip, I’m going with “Selfless.” It’s really strong – a tough episode, and Emma Caulfield as Anya does some of her best dramatic work of the series. The only sour note is the song. I love the idea of flashing back to the day the dancing demon came to town, and showing us another musical number, but this one isn’t all that good, frankly. However, we get to see Anya’s history (including a cheeky, Bergman-esque medieval sequence, featuring the always fun Abraham Benrubi), and the conversation Buffy, Willow and Xander have about having to kill Anya is pretty incredible. Buffy gets the final word with ” I killed Angel. Do you even remember that? I would’ve given up everything I had to be with him – I loved him more than I will ever love anything in this life and I put a sword through his heart because I had to.” Ohhhhhh…SNAP. 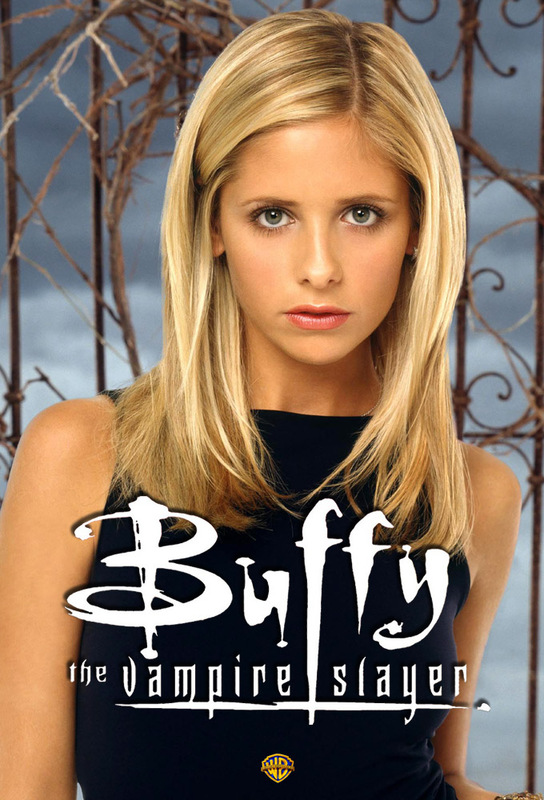 What are your favorite episodes, one per season, of Buffy (excluding finales)? Do share! * Not to be confused with a Broccoli film, e.g. From Russia With Love.